Wash Brussels sprouts and remove any discolored outer leaves. Cut stem off Brussels sprouts, then cut in half. In a medium bowl, toss Brussels sprouts with olive oil and season with salt and pepper. Roast Brussels sprouts in the oven for 25 minutes until they are golden brown and fork tender. 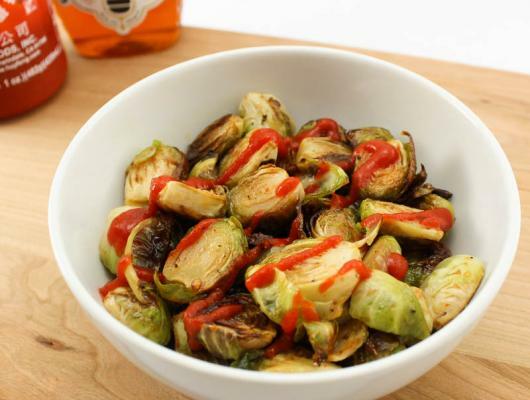 While the Brussels sprouts are roasting, in a small bowl, mix honey and Sriracha until well combined. 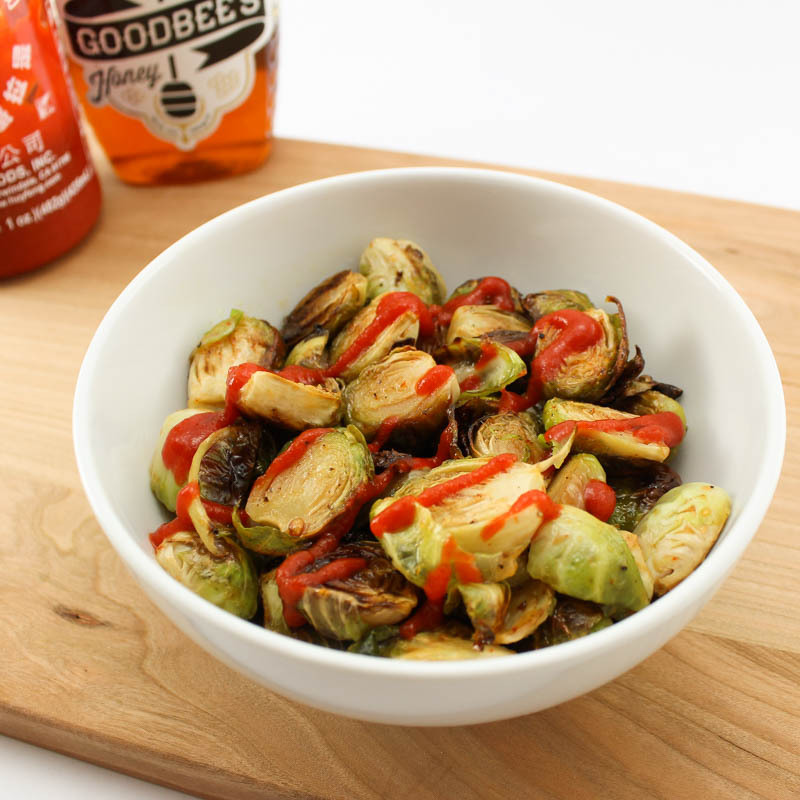 Once Brussels sprouts are done roasting, transfer to a medium bowl, drizzle Sriracha Honey sauce and toss to coat.